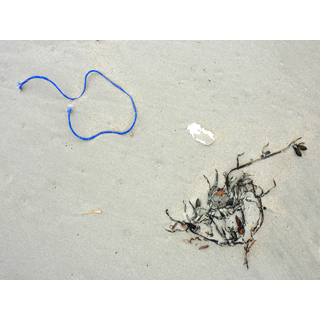 On the Tide_image 20: photograph of washed-up fishing ropes taken on Discovery Bay south-west Victoria 6 – 8pm 3/2/2010. Digital image printed on Museo 100% cotton 250gsm acid free paper. Portland Victoria Australia.